I’ve been thinking twice about this weed that never quite makes the cut on my Villeroy & Boch dinner plate. Dandelion tea, on the other hand, I drink at least 2 or 3 times a week. Its earthy, nutty texture won over my crazy taste buds when we met. But after learning all about the health benefits of dandelion, I decided to promote it from the confines of a muslin cloth tea bag, to my hot skillet. It can aid in the prevention or cure of liver diseases, such as hepatitis or jaundice; act as a tonic and gentle diuretic to purify your blood, cleanse your system, dissolve kidney stones, improve gastro-intestinal health; assist in weight reduction; cleanse your skin and eliminate acne; improve your bowel function, work equally well to relieve both constipation and diarrhea; prevent or lower high blood pressure; prevent or cure anemia; lower your serum cholesterol by as much as half; eliminate or drastically reduce acid indigestion and gas buildup by cutting the heaviness of fatty foods; prevent or cure various forms of cancer; prevent or control diabetes mellitus; oh and ladies it’s pretty awesome for PMS too. Low in calories, packed high with vitamins, particularly Calcium A, C and K, and full of antioxidants, I don’t think it will be long until the dandelion will rise to fame like its kale and quinoa superstar friends. You can eat dandelion leaves raw in salads or in a sandwich. 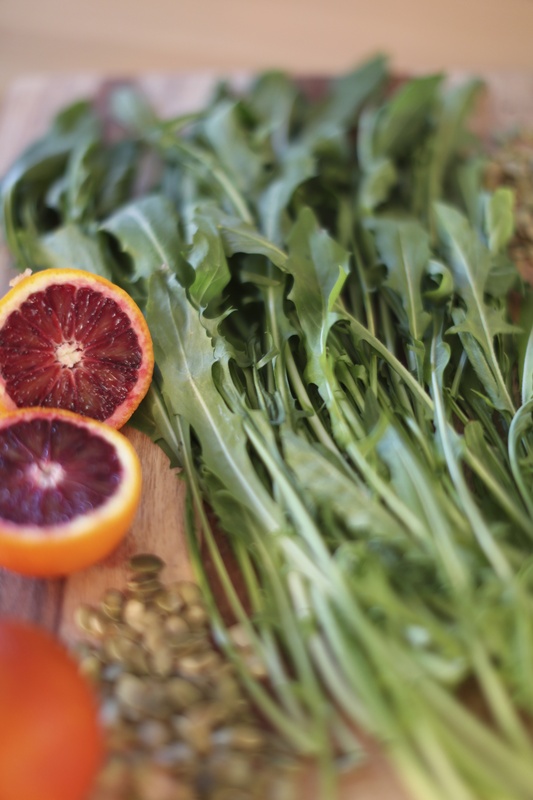 As it has a bitter taste, I quite like to sautee them in olive oil and lemon, then add a little sweetness to them in a salad, as I have done with the addition of blood orange in this recipe. I’ve used shrimp as a textural and protein addition, but goats cheese, hazelnuts, almonds or crispy bacon, also work really well. 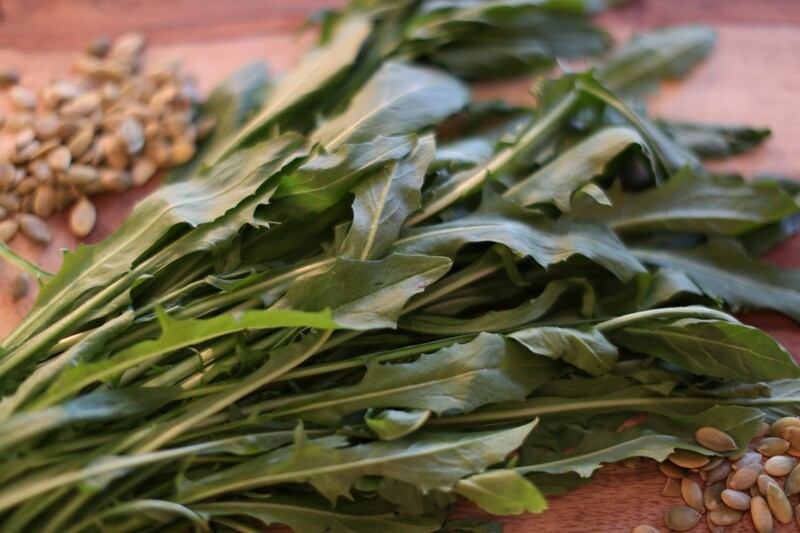 You can eat all parts of the dandelion: roots, stems, leaves and flowers, so experiment with these wild greens, and you’re guaranteed to feel dandilightful! 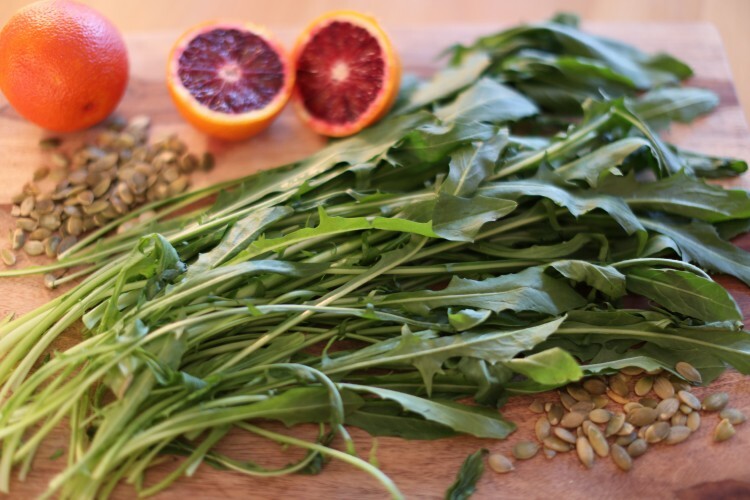 I like using Blood oranges in this recipe for the sweetness and it’s the vibrant color, contrasting against the rich green of the dandelion leaves. But if you can’t find blood oranges then any other sweet orange will work. You can omit the shrimp if you want to keep it fully vegetarian. 6-7 fresh medium large shrimp, tails off. Cut the ends off the bottom of the dandelion greens with scissors or a sharp knife, so you are left with just the leaves. Roughly chop the leaves into about 2inch pieces. In a skillet, add olive oil until hot, then add chopped greens. Sprinkle with Sea salt & add most of the lemon juice, sautee until wilted about 7 minutes. Take off the heat and plate up. In the same skillet, add another drizzle of olive oil, sprinkle shrimp with lemon pepper and remaining lemon juice, add to skillet, sautee for 2 mins until just pink. Don’t overcook. 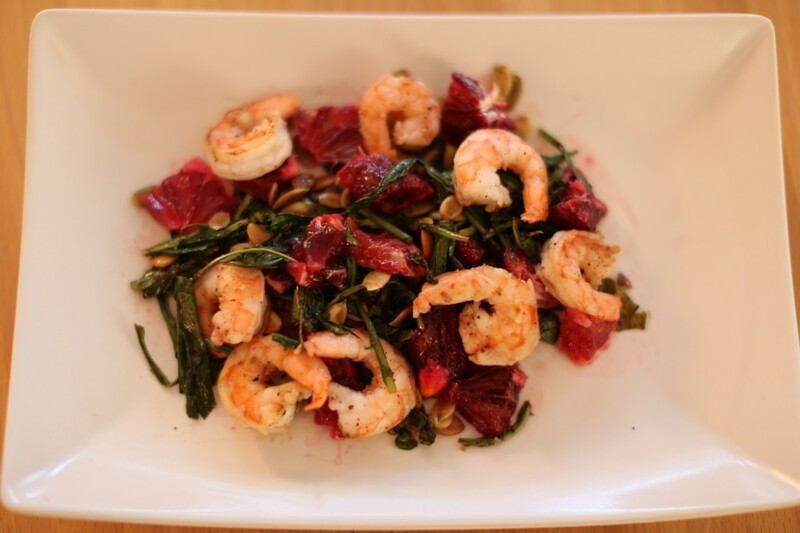 Add shrimp to greens, add the blood orange segments and sprinkle with pumpkin seeds. 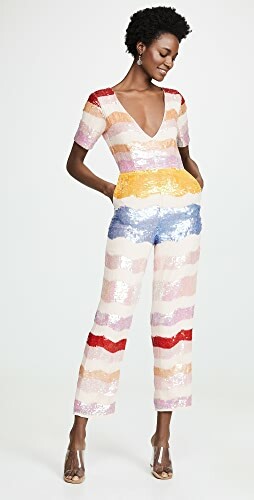 Give it a good toss and you are now a dandelion goddess. Dandelions are more than just weeds.